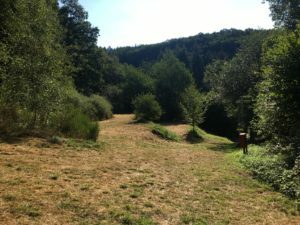 The nicest pitch for your camp! 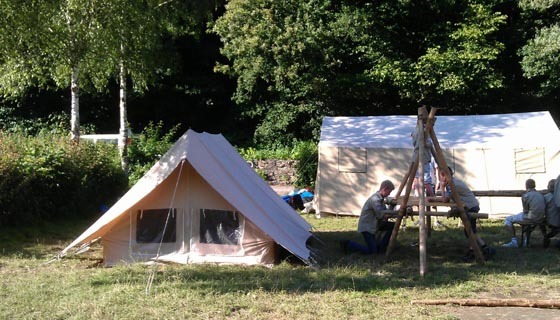 Youthgroups like schools, associations, schools, Scouts, Guides, and so forth can set up camp at our campsite. 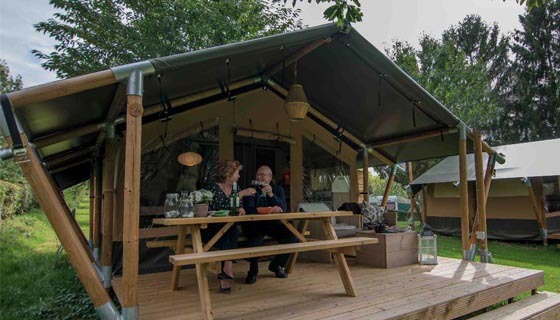 We have a special part of our Camping reserved for you. We have 3 flat terraces (different sizes) at our disposal, on a hill slightly separated from the campsite. Due to our experience in organising youthcamps, we will lmake your camp a succes. Ofcourse we have special rates for groups and we’ll reserve a special piece of our campsite for your group! Youthgroups are very welcome. The owners of the campsite have a lot of experience with youthgroups and organising campouts. They will assist you anyway they can to make your camp a succes! 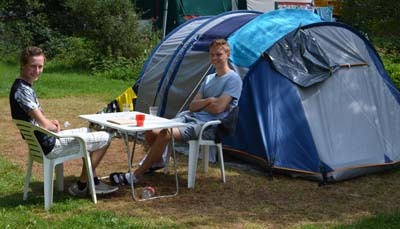 Exclusive use of the facilities at the campsite is possible. If needed we can assist you with daytrips and purchasing food. The exact dimensions of the available space will be adapted on the size of your group. There’s is a electricity-hookup available. A watertap could be shared with other users. € 5,- per person, per night. Any questions? Please mail us!